Now, knowing all this, what exercises should clinicians prescribe to their patients to complete as part of their home exercise programs (HEP) to aid in the healing process? Enter, what I have been referring to as “The Core-4 Exercises for Shoulder Pain”. 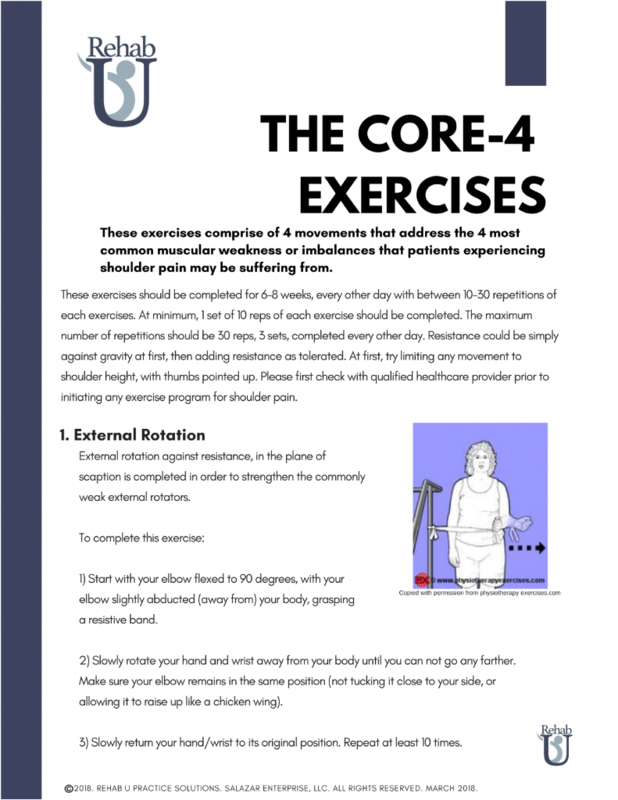 These exercises comprise of 4 movements that address the 4 most common muscular weakness or imbalances that patients experiencing shoulder pain may be suffering from.